I came across this article and it certainly merits to be reposted here. The author beautifully elaborates on the subject. The last public talk in Toronto was on the Horus archetype, as (according to my understanding), it’s presented in the Third Chapter Book of the Law. The following is a segment from the talk. So, are we advocating fascistic militarism? Well, if you insist, and some people do so. But there are a couple of problems with this approach. The biggest, to my mind, is the entire first chapter, where Nuit is hailed as “the continuous one of heaven.” Each chapter does not cancel out the next: they are cumulative, and the paradoxes that pile up aren’t contradictions, but parts of the whole message. The parents are present in the child, not exorcised from Him. Life itself – and we can look solely at biology here – is dynamic. Any crack in the concrete can nurture a seed; bugs reproduce profusely. Even with the diminishing natural habitat we’re producing, it’s likely that new species are emerging all the time. The mind, with its divisions and internal lockings-up, its emotional log-jams, is anti-life, or anti-Will. Release from those divisions frees up Will. Psychologically, we project our dislikes, disgusts and endless assorted anxieties onto other people and other races and places, and we invest vast amounts of energy in hating and resenting them. Temple work as we know it in my tradition is very much about learning to watch for all that stuff: to monitor it, and learn to step back. Sure, we aren’t meant to sit back at the spectacle of bigoted politicians or angry people of any stripe. But first, we do need to get to the point that we can grasp that each of us is one nexus-point in the continuum, not an isolated mind amid darkness and chaos. 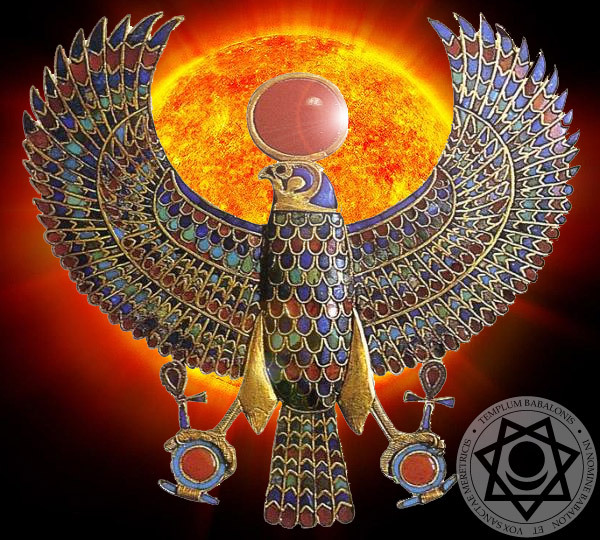 The realization of that, the full, conscious appreciation of it, is Horus as Ra-Hoor-Khuit. It’s dharana, mindfulness, full embrace of now. Be here now, or perhaps we should say: Be forever in the act of arriving. Crowley calls Horus “the eternal borning child,” since it is a characteristic of a young child to be constantly energised and curious. A child is entirely focused on its own needs, and moves immediately to satisfy them. Our “Child” is a warrior lord, and his needs, or willed intents, are broader than those of a human infant. He’s here to push the game much farther than it’s ever reached before. Otherwise, all gods – and he provides a short list of the most popular ones in III, vv 51-53 – are inadequate any more to express the reality into which we are moving. Sure, we might work with them along the way in our magical invocations, but we recognise each is now only yet one more manifestation of a total Divinity summed up, in this time, in the being of hawk-eyed Horus. 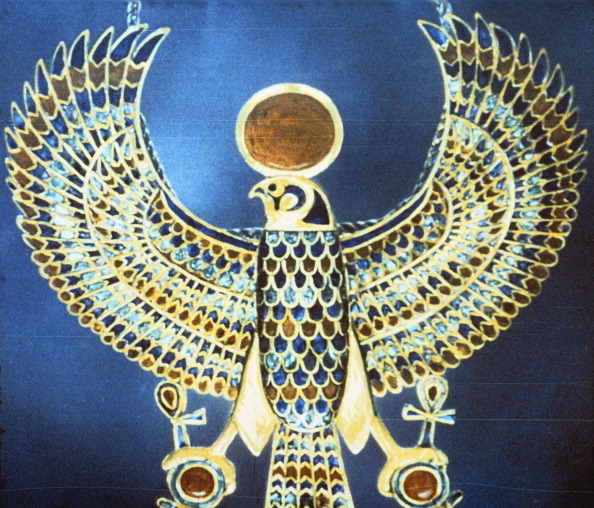 Just as realisation in the last Aeon was via the archetype of the dying god, and identification with him, realization in this Aeon requires us to accept the majesty and power that Horus represents. He, as the “visible object of worship” is the necessary form for the full embodiment of the god-self in each of us: the star that is every man and every woman, as the third verse of our whole Book says. It’s not that you can’t progress using other symbols and other means, but you’re going to be off-track, our-of-synch, prone to missing the cosmic bus, if you can’t come to accept that. Each of us will discover a particular identity and reality for that star that we are, but RHK is the template, the indicative pattern, to follow.